From custom work shirts to team jerseys, blankets to hats, if it can be embroidered, here at MPE we have you covered! The options are virtually limitless. Embroidery allows for detailed personalization no matter what the order size. We have stock designs available with an array of colors to choose from, as well as the ability to create any custom design or logo. We use embroidery and other decoration techniques to create custom apparel for your business, sports team, or event. Call us today to learn about our extremely competitive prices, and our FREE delivery! We offer personalizing and monogramming with a super fast turnaround at extremely low prices! A small sample of the designs we have embroidered for area businesses and schools. We provide embroidery on shirts, hats, and many other products. 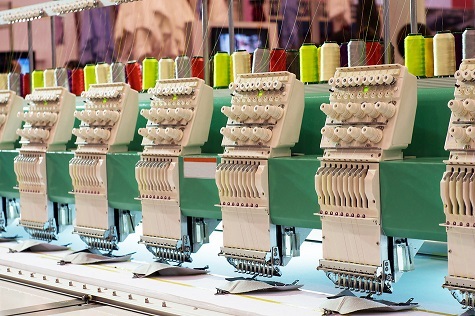 Commercial equipment allows for professional embroidered results – FAST!